Spyware is software that runs in stealth mode on a computer, tracking surfing, sites, keystrokes, network passwords, anything that may help gather information that can be used for nefarious purposes. 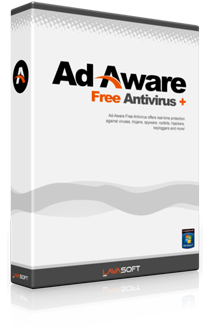 We have included Adware in this category. Anti Spyware software comes in two basic flavours: Prevention or Detection/Removal. Spyware Prevention tools can run on the workstation, or at the network perimeter. Workstation software provides active monitoring and review of processes and programs as they run, identifying potentially harmful actions and normally requesting your approval or denial of the action. Network appliances block spyware before arriving at the desktop, and prevent previously-infected workstations from reporting back. Spyware removal/detection products scan your computer, looking for known spyware, adware, etc. The success with which each product detects and removes the various spyware instances often differentiates the products. It is normally recommended to run two detection products, one free and one commercial. Products in this category provide spyware prevention for today's mobile devices. As business moves to being performed on mobile devices, the protection for those devices becomes critical. Some of the products listed in this category are standalone, install on the device products, while others are more sweeping Enterprise management of Mobile Devices, including the anti-malware piece. SpyBye - SpyBye is a tool to help web masters determine if their web pages are hosting browser exploits that can infect visiting users with malware. It functions as an HTTP proxy server and intercepts all browser requests. SpyBye uses a few simple rules to determine if embedded links on your web page are harmlesss, unknown or maybe even dangerous.